WaterRower Natural Review: Beautifully made, but what's it like to row? If you're serious about using a rowing machine, you'll either become a Waterrower or Concept2 convert before long. Whilst the Concept2 may be the choice of club rowers, this beautifully crafted machine also has many devotees amongst home fitness users. And it's not hard to see why - it will look great in your home, and it's almost impossible to walk past it, without being tempted to use it - so you'll soon get into shape. The first thing most people notice is the water drum. A water resistance mechanism works your muscles with a flywheel spinning in water. Unlike other rowing machines you don't have the option to select the resistance level simply because the faster you row, the greater the resistance of the water - just like rowing on a lake. Many users of the Waterrower comment on the wonderful sound of the water whooshing in the tank - many find it adds more to their session. We found the seat very comfortable and the action very smooth. So smooth in fact that many users don't release how hard they have been working out until they get off the machine! However, our taller reviewers found the footrests were a little uncomfortable. We feel they are too straight and close together and would be better if adjustable. If you have 'big' legs (muscular or otherwise) you may find your knees and thighs knocking together. This doesn't have to be a reason not to buy this model, but some may find it slightly annoying. The S4 Performance Monitor is a fairly large LCD screen but it has to be because it's not in the best position. It's placed to one side and too far back to see clearly in our view. The Concept2 machines use an arm to bring it closer to you, but it would spoil the look of this model if they did something similar. 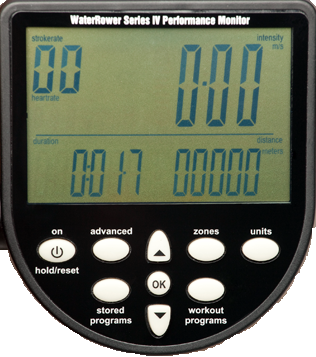 The monitor displays all the usual workout data such as time, distance, watts and speed. But if you want to use a heart rate monitor you'll have to pay extra for the upgrade - we feel when you're spending this much on a rower it should be standard. 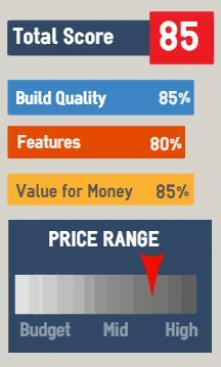 However, this minor complaint is easily outweighed by the PC features that come with it. You can now plug your monitor into your PC (we found a laptop placed to one side worked well) and watch a virtual boat moving along the water. You also have the option of racing online, or against yourself with your previous training sessions. Another big benefit is that you can store your training sessions on your PC and the software will plan your future workouts for you to keep you heading in the right direction. While these features may have once been regarded as a gimmick, we feel they're great for keeping you motivated and to keep coming back for more. Oh, and if you're concerned about the environment, Waterrower say they only use wood from replenish-able forests. Important note: If you row on the water and/or use Concept2's at your club, there's a high probability you may find it difficult to adjust the action of the Waterrower (how ironic is that!) This is because the action feels different to 'real' rowing - something the Concept2 rowers have done a pretty good job emulating. But if you're just looking to get fit in your home - this is still an excellent choice. 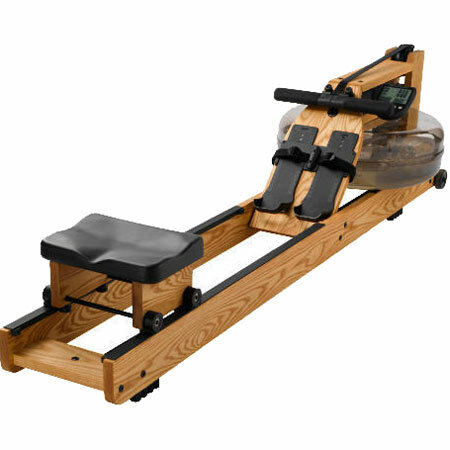 The Natural is a superbly made rowing machine that will look great in your home. It's features and function can easily match its looks and the minor gripes we have are easily compensated for by its strengths. You'll love to use it everyday and therefore it will get you fit and keep you in shape - that's what it's for! We've had emails from people who've owned these for 10 years or more and they're still going strong. The whoosh of the water as you row - it's also very quiet. The construction - very solid and well made. The natural wood looks beautiful. Console can be plugged into your PC for additional features. Large LCD display is easy to read. Very comfortable seat - probably the best we've tried so far. The console/ monitor is not easy to reach. The foot rests may not be comfortable if you're tall. 82" x 22" x 21"
upgraded to 3 years when you register it. If you specifically want a water resistance machine you may also want to look at the First Degree Evolution - it's around $700 more but it's the top-rated model we've tried. If you can't justify spending this much on a rower, take a look at the Waterrower A1 Home - it's a fine machine and costs around $400 less, or the First Degree Apollo is a fine machine for the price. If your budget doesn't stretch this far Stamina's Wave could be the right choice . 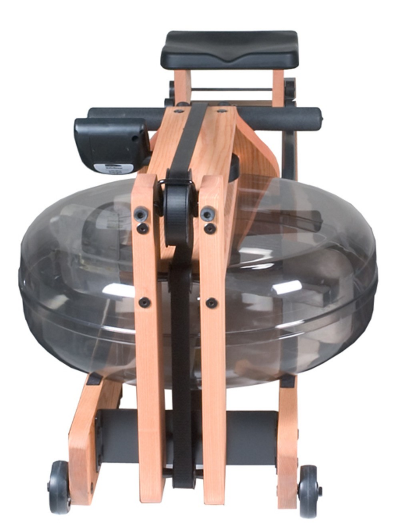 And note, we've just reviewed the WaterRower Club - it's only $100 more and a commercial-grade machine. LATEST: If you're looking for something different, the WaterRpwer's Slider Dynamic is an incredible machine.